Last week, I made a simple flash presentation for teachers that list all the questions used in Vanity Fair’s Proust Questionnaire. Also, listed the resources I’ve made for pairs to use the questionnaire (it is a kind of “reading role play” where one person is a celebrity and the other interviews). Further for fun, got the chatbot answering Proust questions! 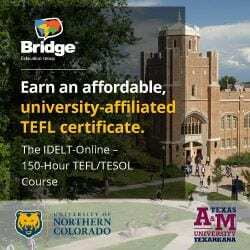 It is mainly for advanced students (as an authentic material) but is an excellent activity. I came up with the idea years ago while teaching LINC (Language Instructions for Newcomers to Canada). I was a Vanity Fair fan (hated the ads but loved the quality of writing) and read the Proust Questionnaire monthly. So I went to the library and “borrowed” the back pages of the interviews for my students (yes, “stealing” is something good teachers do – see my 7 deadly sins of great teachers post!). I made two copies. On had the questions erased, the other had the answers erased. In pairs students role played the interview. Then, I would have one pair role play for the whole class and the class had to guess who the famous person might be. 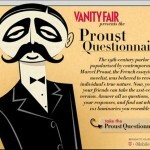 Nowadays, there are some nice online resources for using the Proust Questionnaire. Write out your answers and share the questionnaire response. I’m writing this post not just to share these resources and this great idea. I was also prompted by @proustdotcom on twitter who sent me these tweets. Proust.com can be used in a variety of ways. Check it out and in particular the list of questions which students can respond to in writing. They can ask each other through social media and it would make for fantastic writing practice! You might even just use their cool Kinetic Typography intro (and I’m into this stuff!). 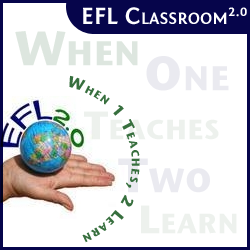 > Make the responses audio or video based and teachers able to create a classroom for the response forum. Or even a Voicethread style site for collective responses. > Writing. Teachers can make a Wallwisher type area where the notes are title questions. Click on a post it and you get to respond to that question in detail or read from others. What other ideas can you add? Let’s help out Proust.com! Next story Memory and Language – an experiment. I am so glad to see this post! I am a Speech Therapist in a school setting and I also know some people who work for Proust. 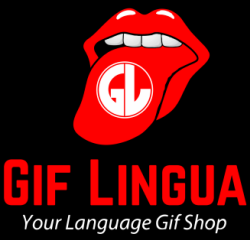 I have been enjoying using the site personally with my family and close friends, but the site also has a lot of potential as a communication tool for students with expressive and social language disorders. I’ve been thinking a lot about how to integrate Proust.com into therapy sessions, as I focus a lot on story telling with my students. Would love to hear feedback from other teachers and Speech Pathologists!